When it comes to stringed instruments, Cordoba has won a global appeal among musicians of diverse abilities and styles. Drawing from a heritage of beauty and authenticity, Cordoba’s instruments are crafted with originality and quality in mind. Cordoba is best known for their classical nylon-stringed guitars, but they also make highly regarded ukuleles. Cordoba ukuleles are remarkable instruments, and they have grown quite a following in the ukulele world. To help you pick out the ukulele that best meets your needs, we’ve put together these Cordoba Ukulele reviews of their top rated models. Read on and find out which Cordoba ukulele is best for you and your musical needs. 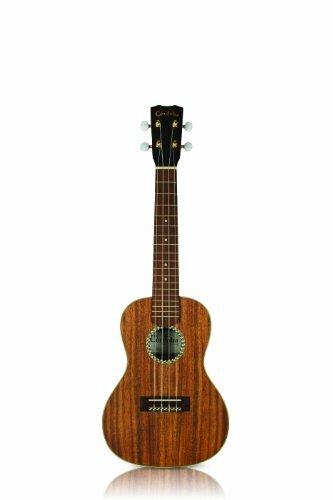 The Cordoba 15CM is a concert-size ukulele that is stylish, easy to play and powerful. It showcases a solid mahogany top, back and sides, and quality construction all around. The handcrafted body also includes an abalone-style rosette and an ivoroid binding to the body and the fingerboard that distinguishes it from other models. This is a great ukulele, and many Cordoba 15CM concert ukulele reviews remark on its rich sound and excellent tone quality. The 15CM also stays in tune really well, even during constant or intense playing. The build quality is great, and the finish is awesome. All in all, our Cordoba 15CM review finds that this is an easy pick because of its exceptional looks and ease of playability. Though small in build, the Cordoba 25SK Soprano Ukulele packs a powerful and articulate tone that is aided by its solid acacia top and solid acacia back. The beauty of this handcrafted ukulele reflects the allure of its traditional heritage, and it provides a unique sound and playing experience. The 25SK is incredibly consistent, with a great tone quality and a rich, articulate sound. Once you tune it up, it holds a tune very well. Because of its solid build quality and beautiful sound, this ukulele is a joy to play. If you have larger hands you may find the small size difficult to work with, but the 25SK is a great choice if you are looking for a ukulele with a small build and a great tone. Characterized by a solid mahogany top and mahogany back and sides, the Cordoba 20TM is a tenor size ukulele with a wonderful tone and refined looks. Its beautiful design and solid performance makes it an ideal choice for both beginners and professionals. 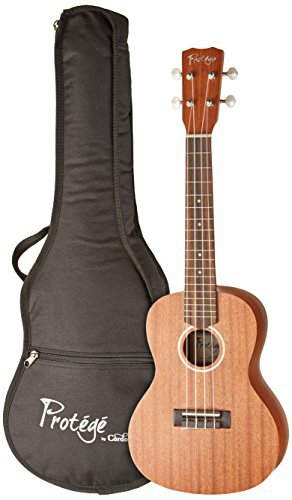 Many Cordoba 20TM tenor ukulele reviews remark on the excellent value that this ukulele provides. Like other Cordoba ukuleles, the 20TM has excellent build quality with beautiful design and finishing. This solid construction makes it an absolute joy to hold in your hands. The tone is also rich and complex, and this uke holds a tune really well. The 20TM also comes in an acoustic-electric version, and Cordoba 20TM CE reviews are equally excellent. If you’re looking for one of the best tenor ukuleles at an affordable price, it doesn’t get much better than the Cordoba 20TM. Continuing our Cordoba tenor ukulele reviews is the higher end Cordoba 30T tenor uke. 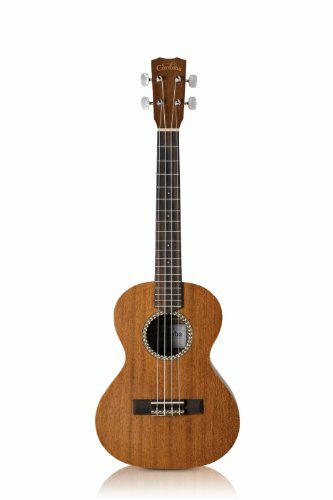 Equipped with all-solid mahogany top, back and sides, the 30T is an exceptionally lightweight tenor ukulele that is elegant, durable and easy to play. Its build is wider, deeper and more stable, which results in greater resonance and sound balance. It also features an inlaid abalone-style rosette, rosewood binding and a broader fingerboard. The 30T produces a great tone that is deep, rich, and very consistent. This ukulele features great craftsmanship and a beautiful finish. The build quality is excellent, giving you a sturdy yet lightweight instrument that is also easy to play due to its wide fingerboard. 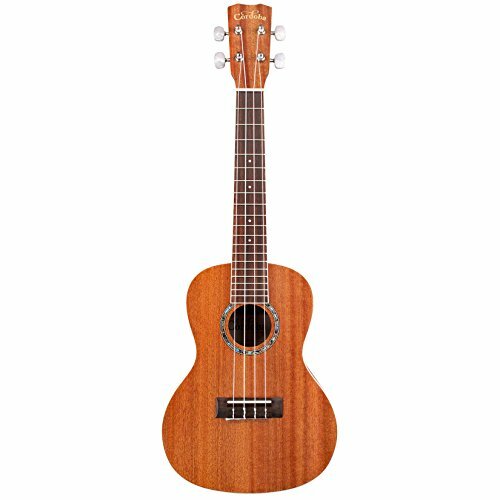 The Cordoba 30T tenor ukulele is a great choice for beginners and pros alike. The Protege series is Cordoba’s line of budget ukuleles, but don’t let the price tag fool you. This little uke packs a serious punch and can compete with ukuleles that are far more expensive. Although it’s geared toward beginners and young musicians, more experienced uke players will be able to find a ton of value with this instrument as well. The Protege U100CM features mahogany top, back and sides, a rosewood fingerboard, and a beautiful satin finish. The tone is rich and bright, and it sounds much better than anything else in the sub-$100 price range. If you’re a beginner looking for a great first instrument or a pro looking for a nice beater to carry around, look no further than the Cordoba U100CM. Cordoba makes some of the top ukuleles around, but which one is right for you? It all depends on your skill level and the music you want to play. Are you looking for something that is easy to play but is also stylish? Then the 15CM concert ukulele should be your easy pick. If your interest is sturdiness and deeper tone, then you have the 30T Tenor Ukulele. If you’re a beginner on a budget, then the U100CM might be your best bet. We hope that these Cordoba ukulele reviews helped you narrow it down, but regardless of your choice you’ll be getting a quality ukulele with Cordoba.